Activities of daily living (ADLs) is a healthcare term that refers to individual everyday self-care activities. They are essential especially for seniors because they help older adults to thrive, living healthy and full lifestyles. Bathing or showering - it is not only the task of taking a shower or bath. When assessing a person’s ability to bathe on their own, it is also necessary to check grooming and cleaning habits. These can be brushing teeth, combing hair and shaving. For instance, someone who is suffering from Parkinson’s disease will have difficulties carrying out some tasks that require a steady hand and will most likely need a hand to complete them correctly. Eating - it is an essential ADL because when a person does not eat enough, there may be detrimental effects on their health. Consuming a balanced diet is crucial to give the body the nutrients and energy it needs for sustenance. The elderly mainly need to be conscious of what they are putting into their system as they are more prone to health issues. 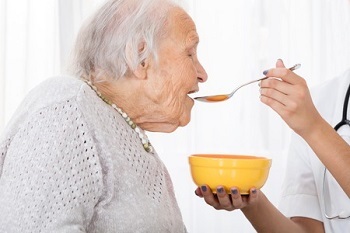 Therefore, if retired adults cannot adequately feed themselves, they will need someone like a family member, professional health care worker, or friend to support them so that they do not become malnourished. Getting dressed - the ability to choose a suitable outfit and put in on correctly may be a big deal for aged adults because many struggle to do so. Members of the older generation may require a reliable support system that always ensures they look their best at all times. Continence - the ability to control bowel functions and the bladder. If one is not able to do it the right way it may result in severe health effects. An older adult with such a problem may consider using a catheter or having someone around to change their diapers on time if need be. Toileting - it involves being able to get on the toilet, clean yourself well afterwards, and get off the toilet without complications. If an individual is not comfortable doing this, they are better off making sure they have the assistance they need every time to avoid accidents. Transferring - it is where senior citizens are in a position to get out of bed or mobility aids such as wheelchair and back again. It is, however common for retirees to have mobility issues; which can affect the quality of life. It can be frustrating when a person cannot walk far, climb stairs, use the elevator, or go to a destination without pre-arranged transport. When this is the case, it helps to have someone to rely on to get an individual from one point to another. Another way of thinking of daily living activities are those things that a majority of people usually do when they get up in the morning, ready to start the day. It can include getting out of bed, going to the restroom, taking a bath, dressing, eating, and grooming among many others. What happens when the Elderly can no longer complete ADLs? When a person is no longer able to complete activities of daily living successfully, it means that they are not able to take care of themselves. If it happens because of old age, a person should consider long-term care like moving to assisted living homes in or near their area or if skilled nursing care is needed, then skilled nursing care facilities nearby. Here they will access professional and compassionate help, and any other added support they want, to assist them in handling everything that they are not able to on a daily basis. One can also decide to get in-home care from the experts when they feel like moving out of their homes is not a viable option. The decline in a person’s ability to satisfactorily complete ADLs is usually because of general weakness that sets in due to age and various medical conditions. Family members typically notice their loved ones decline through numerous signs such as changes in appearance or routine. These are red flags that typically show that some severe underlying issues are interfering with how a person takes care of themselves and may be warning signs that it’s time for assisted living. For instance, if a retiree does not take a bath as often as they should, it could mean that they may benefit from the installation of grab bars, shower chairs, or non-slip floor mats. Professionals frequently use the Katz Index of Independence in Activities of Daily Living as an assessment tool to determine a person’s independence versus independence. An individual earns a point for each task that a person can complete while they get zero points if one is not able to complete the tasks. Primary care physicians - they are the people responsible for looking after the elderly or people with disabilities. They rely on these assessments to come up with the ideal care plans that are beneficial to the individuals they are working with. Case managers - these may be registered nurses or social workers who collect details on the ability of a person to perform ADLs or IADLs, to assist them in planning for individual continuum care needs. Physical and occupational therapists - they typically work in accordance to plan of care while tracking and recording daily living activities that are related to a convalescing or rehabilitation goal. Home health agencies or skilled nursing - they usually depend on care plans put forward by the physicians and are also influenced by the assessments to select the appropriate caregivers and staff that each care recipient needs. Government agencies - they use activities of daily living evaluations to qualify people and initiate and cover the costs of services rendered to the individuals while monitoring their continued effectiveness. LTC insurance providers - such require the assessments as well as caregiver service notes to disburse and also regulate policy reimbursements. Long-handled shoehorn - these are ideal for senior citizens who experience mobility difficulties because they give additional comfort and independence. Long-handled sponges - these come in handy when reaching becomes a challenge when someone is taking a bath. Dressing sticks - when a person requires some level of assistance when putting on clothes and they are not ready to ask for help, these products play an essential role. For instance, one can use them to get their pants on without bending over. Bed ladders - they are put in place to aid persons to climb in and out of bed. It is advisable only to use them when the person using them is not at risk of falling, thanks to its looped construction. Some ladders, however, are made to prevent falls, but, may come at a higher cost. Dinnerware - these can be items such as soft-grip utensils, non-skid bowls, and plate guards that help to prevent spills when a person is eating. They are beneficial in that they do not only offer comfort during meal times, but also aid in independence. Building modifications - although these are not aids, some changes made to the home or facility where aging individuals are living can help make their lives more fulfilling. These can include installing railings and ramps that accommodate scooters, wheelchairs, or walkers. Shower seats and bathroom grab bars can also aid in safer showering. Whether an aged person requires help with primary activities of daily living or the instrumental ones, caregivers should deliver the support in a way that does not intrude on anyone’s privacy or dignity. Because older adults will rely on the staff or loved ones to help with things like holding a glass, bringing a spoon to the mouth, cutting food, tying shoelaces, buttoning or zipping a dress or shirt, caregivers should not make them feel as though they are not capable. “Helpers” should create a suitable friendly environment where the older generation is ready and happy to receive the assistance without feeling like they are a bother or they will be mishandled. Caregivers should also strive to make senior citizens feel as though they are independent. This is something that will motivate older adults to work with people who are willing to offer the assistance they require and do not treat them like disabled adults when they are not. Paying out of pocket - if one has the financial ability and resources, they can pay for the services they receive with the money they have saved or are getting from their businesses or any other legitimate source. Long Term Care Insurance - in some cases, using personal finances can prove to be a little bit costly, especially when an older adult’s needs continue to escalate over time. Some long-term care insurance policies, as well as health insurance, can step in to cover all or some of the expenses that a person who requires help with everyday living faces. Medicare, depending on the circumstances, can offer home care assistance, but for a limited period. Government Waiver Programs – older adults with limited financial resources or low income can also qualify for various waiver programs that help out with both community based and home services. Make sure to conduct thorough research to identify all the available programs to apply for the ones you feel you can take advantage of. Veterans Administration Aid & Attendance benefit- it is precisely put in place for veterans and the spouses of deceased veterans. It covers caregiving expenses paying up to $2846 monthly to qualified applicants who require assistance with day to day living activities. Whether the professional needs any additional medical equipment when taking care of the seniors, i.e. walkers, wheelchairs, or oxygen masks. The results that caregivers expect from delivering the much-needed services. Continuing communication with caregiving personnel, whether they are nurse aides, skilled nursing staff, or certified nursing assistants. Describes specific tasks that patients regularly need assistance with, pinpointing personnel who will render the services - whether they are staff members and in some cases family members. 24-hour documentation of the support that caregivers deliver. For instance, it can be medical records that serve to continue or trigger benefits from third parties. Without these records, it would not be possible to prove that the exact services were provided.